At regular market value, that amount could fetch $5.8 billion. The seized Californium was taken to the Turkish Atomic Energy Authority (TAEK) for safeguarding. The U.S. and Russia are the only producers of Californium. 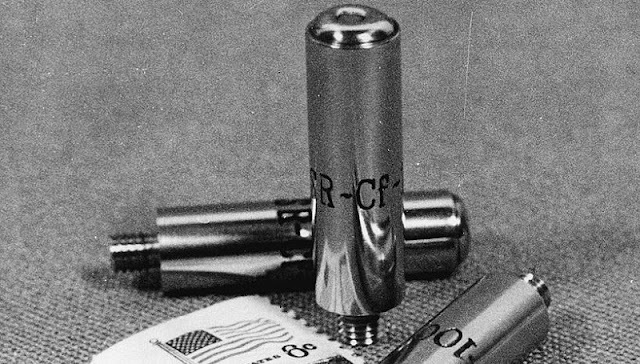 First developed in the 1950s in the U.S., Californium is a "strategic" element due to its limited area of use. It is widely used in gold, silver and oil mining operations to determine water or oil layers underground. Media outlets reported that the suspects smuggled californium from another country, but the source was still unclear. Turkish language daily, Sabah said police was suspecting that the material might have been smuggled in from Russia. An investigation was already underway. Authorities occasionally clamp down on nuclear material smugglers in Turkey, which lies at a transit route between Asia and Europe. In 2016, police seized 13 nuggets of pure aluminium, a material used in nuclear energy production. In a separate incident, two Georgian nationals were detained for smuggling caesium and red mercury, also used in the nuclear industry. Valuable info. Fortunate me I discovered your site accidentally, and I'm shocked why this twist of fate did not took place in advance!